Do you know that about 40-50% humidity of a grow room can bring on a great result? Well, after the primary stage, it is ideal to maintain the grow room humidity by the needs of the harvests. Just like another gardening kit, there are a number of variations of humidifiers. 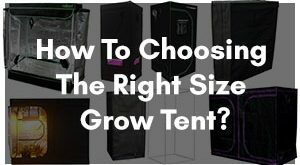 While each of them having their best uses, you need to choose the one that suits best for your grow room. But how much you know about the humidifiers? If you know something or a little, let’s start checking it. 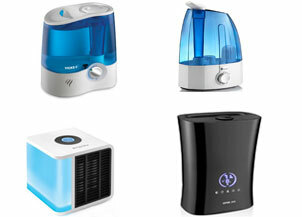 Here you can get the complete idea about various kinds of humidifiers. After that, you will able to pick the best humidifier for your work or make some changes for betterment. And fortunately, that’s what we will be talking about throughout this article. The humidifier is a device which is used to increase the moisture in a compacted-space. It is used in grow rooms, offices, restaurants, greenhouses, grow tents and so many spots to control the humidity of the air. The humidity percentage of a grow room is one of the key factors for the plants. Humidity is connected with the temperature, air balance and so on. So, it is important to maintain the humidity of the grow room and for this, you need a humidifier. Why Do You Need the Humidifier for Grow Room? In the grow room, it is essential to maintain moisture, temperature and air balance for the plants. For this reason, you have to control the humidity. You can control it in various ways. But using the humidifier can lessen your labor and other issues. Here I have discussed those points separately for easy understanding. By using a humidifier, you can easily control the grow room humidity. You can increase humidity by boiling or taking other manual steps but it may not work properly. They need also hard labor and time. Another hand, using a smart humidifier you can do the task comfortably. Excessive or low temperature can bring bad results in the grow room. Temperature is related to humidity. If the humidity level goes unsuitable, then the temperature will not healthy for the plants. Humidity level shows the amount of the moisture in the air. It is a basic element of the air. So, by using a humidifier, you can control the moisture level which helps to maintain a healthy ratio of the grow room air. Some humidifiers remove dust, airborne impurities, and pollen particles from the air and also destroy the harmful elements of the water. After that, they spread out the mist in the air. Which makes the air clean and more suitable for the grow room. Excessive or low humidity can create some problems for the plants. Plant’s growth becomes affected. The leaves may become dry or get some kind of diseases. Root’s growth becomes stunted. For this reason, it is very important to control the humidity for the grow room. For the grow room, there are mainly 5 types of humidifiers are available. They are also different in shapes and sizes. Here I have given short descriptions of this humidifier to understand what type of humidifier you may need for your work. It will also become easy for you to choose the right one from them. For grow room, the ultrasonic humidifier is one of the best humidifiers to choose. It can produce both warm and cool mist by vibrating at a super high frequency. For the warm mist, water is heated before creating the mist. The mist evaporates in the air and increases the humidity. For the cool mist, water is kept in normal temperature and evaporates the water by ultrasonic vibrating. A silence fan takes an important part here. It spreads out the moisture in the room. It also keeps the humidifier cool. 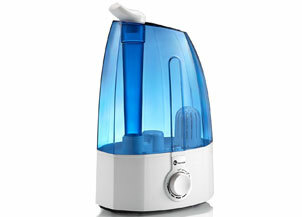 This type of humidifier releases cool mists by drawing the air from the room and blowing it over the moistened water. This process increases the humidity and removes the heat from the air. For this reason, it is called cool mist humidifier. It is very effective in warm weather. The filters need regular changing to protect the humidifier from some problems. It is the most common type of humidifiers. The warm mist humidifier releases warm mists in the air. It heats the water at a certain level of temperature and blows the hot mists in the air. The hot mists evaporate and increase the humidity of the room. Destroy the bacteria and other harmful organic compounds which is bad for the plants of the grow room. These types of humidifiers use water from the tank and soak a piece of material. A fan is used to blow the room air over the wet material and by this water becomes vapor. This is likely to the cool mist humidifier. The vapor increases the humidity of the dry air. It is one of the advance humidifiers. The air washer humidifier adds moisture to the air and cleans the air by removing waste particles. It mainly removes airborne impurities, dust and pollen particles from the air. It produces cool mist only. Air washer humidifier can cover large areas. Click Here to know more about The Best Grow Room Humidifier Reviews and Buyers Guide. This is one of the main problems that you have to solve first. You can find different types of humidifiers in the market but you have to choose the right one for your grow room. They have also different shapes and sizes. To choose the best humidifier for your grow room work, you have to consider some factors. Your room size, surrounding weather, budget, maintenance system capability and type of plants you have chosen are those factors. 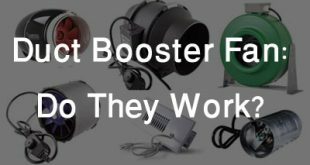 Here I have discussed some steps to consider while selecting a humidifier for your grow room. It is ideal to consider the space size of the grow room before going to a humidifier. 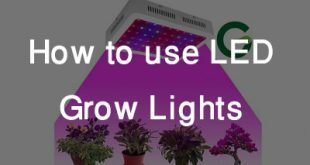 Here is some approximation that may work efficiently for your grow room. Small humidifiers for the grow rooms that are about 300 square feet. Medium humidifiers for the grow rooms that are about 350-500 square feet. Large humidifiers for the grow rooms that are about 550-1000 square feet. It must be settled by the surrounding weather of your grow room. For cold weather, you have to choose the warm mist humidifier. And for the warm weather, you have to choose the cold mist humidifier. Otherwise, your purposes will not become successful. It also depends on what types of plants you want to cultivate in your grow room. It depends on the mineral you used for the humidifier. If the mineral contains too much dust and microorganisms, it is ideal to use the evaporative humidifiers. It destroys these wastes and cleans the water before evaporation. Otherwise, you can use the regular humidifiers for the grow room. If you prefer the automatic system, you may choose the ultrasonic humidifier and the air washer humidifier. Because they provide more automated feature than others. If you prefer the manual system, you may choose the cool mist humidifier, warm mist humidifier or the evaporative humidifier. Cleaning and maintenance issues are important for this process. It is ideal to choose the humidifier that needs less cleaning and maintenance. This lessens the workload and cost. The humidifier needs regular maintenance and changing may problematic for your work. Ultrasonic humidifier and the cold mist humidifier needs less cleaning and maintenance. All the humidifiers make some amount of noises. Some of them create more noise which may be very painful for you. But it varies person to person. If you want to choose less noisy humidifier system, select between the ultrasonic and evaporative humidifiers. Otherwise, you can choose it from the cold mist humidifier and the warm mist humidifier. It also differs from person to person. Before buying you have to survey the market and compare your budget for the humidifier you want to buy. Always choose the humidifier that suits your budget. When you are going to use the humidifier, you have to bear the maintenance cost and the changing parts expenses. Try to select the humidifier that needs less cost of maintenance and other expenses. Otherwise, it can affect your profits. Why Humidity Is Important for a Grow Room? It means the volume of water vapor consists of a certain area’s air. The humidity of a certain area varies with the temperature. It is not controlled automatically in the grow rooms. If the plant’s vapor pressure is more than the surrounding air, the plants will release more water for its body or vice versa. For this reason, you need a humidifier to manage the humidity of your grow room. Proper humidity is a must needed thing for every plant on earth. So, for your grow room, it is important to understand what real humidity is. For easy understanding, I have divided the whole concept into three parts. Plants growth depends on the humidity level of the air. For the regular growth of the plants require good photosynthesis, transpiration, and gas exchange process. These processes mainly depend on the humidity of the air. If there too much humidity in the air, the transpiration and the gas exchange process will become slow and vice versa. So, for the regular growth of the plants, you have to keep the idea humidity for your grow room. 10-40 percent: It is the lowest level of humidity. In this level, air is dry and the plants can hardly survive. 40-60 percent: It is an average humidity for a grow room. Most of the plants can grow excellently in this condition. But some plants cannot grow well. 60-80 percent: This level contains the optimum percentage of humidity. This level is perfect for grow room but it is very difficult to maintain it in a grow room. 80-90 percent: This is the highest humidity level. Tropical plants can grow well in this condition. Other plants may face troubles in this situation. Humidity problems of the plants happen for the excessive amount of humidity and poor amount of humidity. It is better to understand if we separate them and then discuss the matter. When the humidity is at the lowest level, the plants will become dry and the color of the leaves will be changed. The attack of some micro-bacteria may occur. So, the plant’s growth becomes hampered. When the humidity is at the highest level, some grey mold may appear in the leaves, the nutrient process gets hampered and root diseases happen. 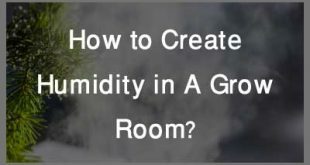 Pro Tips: Read this articles https://gardenersyards.com/create-humidity-in-a-grow-room/ to know How to Create Humidity in A Grow Room? Humidity is an essential element of the air. It is compulsory to maintain the right percentages of the humidity of a grow room. You can increase the humidity of the grow room by using a suitable humidifier. The humidity control system is a basic element of a grow room. Without it, the whole may become a lost project for anyone. For this, you don’t have to expense a lot of money. This kind of system is quite reasonable. You have to choose the suitable one for your work and maintain the humidifier systematically.